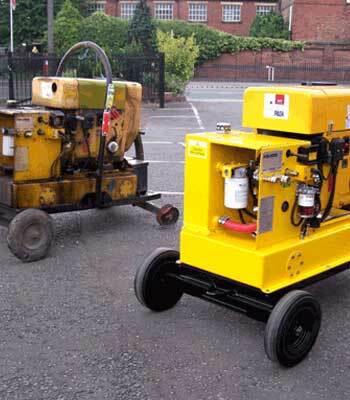 Hydraulic powepacks designed by Active in the 1990’s have been working hard in the hire industry for the last 15 years. These units were completely stripped down and returned to better than new condition. Any damage was repaired before the tanks and chassis were steam cleaned , shot blasted and stove enamelled. New hydraulic hoses, valves , pumps and automatic safety shutdowns were fitted. The product is now better than new and will give many more years problem free service. Active can use our experience and expertise to re-manufacture any equipment to first class condition.